Let's take a very complicated and lengthy process and make it not so! The Covered California online application typically takes people 45+ minutes to complete. 50% of the people we help who self-enrolled have incorrect information that resulted in no tax credit, wrong plan offerings, or the wrong tax credit. This is not an exaggeration for many people who attempted to complete the online app, we're hearing a chorus of "Amens!" So, let's take that process and shrink it down to 5-10 minutes. Let's simplify the questions down to everyday language that people can actually understand. That on-exchange (which means Covered California in our State) online application is right above you. The mobile version (cleaner) is securely available here. Let's break down the major areas if you want to understand what to expect or need extra guidance. Okay, some Covered Ca tech talk. We're outside of Open Enrollment so we need a special trigger to enroll now. Open enrollment is usually Nov 1st to Jan 31st of each year. Those are the most common. There are some others such as change in immigration or legal status but the big 4 above make up the majority of triggers. We need one of those to happen within 60 days (past or future) of our online Exchange enrollment. Otherwise, we may not be able to get coverage. If you have special situation, check with us at 800-320-6269 or by email. With 1000's of on-exchange health enrollments, we've seen it all. Let's get on with the rest of the application. Hopefully, this was named correctly. This is the basic information about your household. The main address is where your primary household members (see below on special notes about household) reside. Mailing address just means that you want mail to go somewhere else. The email address is where we'll send confirmation of enrollment and phone is rarely used but needed for the on-exchange application. Hey, 1 section down. Let's move on. Covered California looks at household differently than most people. To Covered California, household is everyone that files taxes together on one 1040 tax form. It doesn't matter if you live together. It doesn't matter if you didn't file together last year. It's this year that matters (for which you'll file taxes April next year). We want to list every members EVEN IF NOT ENROLLING! This is especially true if you might get a tax credit. If your household size goes up (even if not enrolling), the tax credit can go up. You'll be able to enter if a given person is not enrolling in the above Exchange application. Still list them so that those members who are enrolling get the most tax credit available! Quick note on Social Security numbers. We take this very seriously. 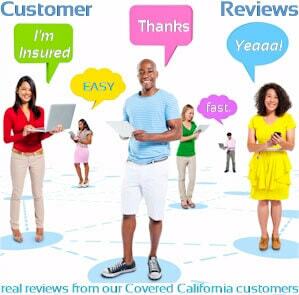 Look, we've been licensed California health insurance agents since 1995 with 10's of thousands of Californians enrolled. We take it very seriously. The online application is secured but we can also take the Social Security by phone or via Secured email. Again, we have NEVER had an issue with the Department of Insurance and we take great pride in helping and protecting enrollees. Covered California ties into the IRS and State agencies to verify identity and income so Social Security numbers are required for enrollment. Next, everyone's favorite subject right after health insurance...taxes! First, we want to list our tax filing status. We want to anticipate how we will file April of next year. This can be tricky for people in transition. Think about it. What if you're getting married this year? Or divorced? What if your 26 year old daughter gets a job and files her own taxes? You can see how things get complicated. To the best of your ability, estimate how you file next April. That's the proven rule of thumb. Also, no one can claim you on their taxes. This makes sense...can't have double deductions! You agree to file taxes for the year in question (this year - next April) in the allowed time. Taxes Done! Don't we wish they were that easy. We bunched all the various Eligibility gotchas under one heading. They're strewn across the main app but they all have the power to affect your coverage and/or a tax credit offering. If you are offered coverage from an employer where your monthly share of the plan for just you is less than 9.5% of your gross income, you may not qualified for coverage because you're given "affordable" coverage. If your share for the household is less than 9.5% of household, income, same issue. We can help with this if your situation is more complicated at 800-320-6269 or by email. You can't get Covered California if you are eligible for Medicare, Medi-cal, Tricare or various other types of publicly offered coverage. Medicare is DIFFERENT from Medi-cal (although that will also bar you). Medicare is usually for people age 65 and over or pre-65 people with Permanent Disabled status from Social Security. It's okay to have one household member on Medicare and enroll the other(s). We have to be US citizens or have legal status (such as green card) to enroll. Additional information will be needed if we're not US citizens and we can send what is needed on a case by case basis. If you have registered status for one of the qualified Indian Tribes, you may be eligible for special AI benefits. These benefits can be no cost share by nature so it makes sense to take advantage of them. We still have access to the main carriers. 5. Medical Expenses in past 3 months. This applies more if a person is elibible for Medi-cal. 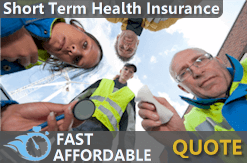 Medi-cal has a provision where they may pay for past medical expenses if you're eligible. This question usually confuses people. Covered Ca has a very defined meaning for disabled and it's Permanently Disabled designation through Social Security. Usually, these people are eligible for Medicare but Medicare can take some time to process. Now, on to the most important piece of the On Exchange application for Covered California. Income drives everything now. We want to get this right. First, what income do they mean and what time period? We've written an entire article on calculating income but here's the simple rule of thumb. We want to estimate what our line 37 on the 1040 tax form will be for the current year. Basically, what will we file next April on that line for the total household. Last year is not considered. It can be a good guide if you're income is fairly consistent but we really want this year. These are the most common additions. Let's look at quick guidance on the most common income sources. For W2 income, we want to estimate our full 2017 gross W2 income. The gross is important as many people look at net. Self-employment income is tougher for enrollment. This is how we should look at it. We want to estimate your NET self-employment income. Again, it's the number that will filter down to your 1040 tax form after business expenses. There are certain deductions that come off this number aside from business expenses. Income can be tricky. We're happy to help at 800-320-6269 or email us. Let's look at plan selection. When completing the application, the most important piece may be the plan selection. If you haven't already, you can run your Covered California quote here. Make sure to enter all the household members and estimated 2017 income estimate so you can see the correct rates. There are 3 main items to note for the on-exchange enrollment app. That's all we need on the app for plan selection! We're happy to help you with any questions on carriers, plans, and networks! This is our real value! And it's free to you! Dental is also available right through Covered Ca as well. You can enroll in these at the same time. Delta is the strongest carriers in terms of network and they offer both a PPO and HMO. We can email rates/benefits to you when the app is completed! The policy does not activate until the first month's premium is paid. You can opt for the dental and just choose not to activate it if you want. Covered Ca requires identity verification. You can upload a picture ID through the application. You can request to have 4 identity verification questions emailed to you securely. Either way will work...just select your choice. All that's left is your signature, date, and final submission. You'll have access to the terms and conditions which can be found here. Once the exchange application is submitted, here's what you can expect. Email Confirmation - You will generally receive a confirmation by email within 24 business hours from final application completion. If there is missing or conflicting information, we will reach out to you directly, by email first. Written Confirmation - You will generally receive a written confirmation from Covered California within 5-7 days from our email confirmation. 1st Carrier Invoice - You will generally received the 1st invoice (tax credit is taken out if there is one) within 5-7 days from the email confirmation. The rule of thumb is that we have 15 days from the app submittal to pay the first payment. We can take the 1st payment by phone to expedite processing and activate the account. The whole process generally about 5-10 minutes for people to complete the exchange online application. If there are corrections that need to be met, call us at 800-320-6269 or email us for a secured email. Do NOT send private health information by standard email. We can send you a secured email to respond to. For a quick second, let us toot our own horn. The standard online application is a "process" with the focus on the quotation marks. The normal Exchange app generally takes people about 1 hour to complete and if there are ANY mistakes, it can come up with incorrect results and usually, it's just a lack of of understanding of their terms. You can see that we really tried to break down the key terms into simple and understandable language. We really want you to get the most out of the Exchange in California. 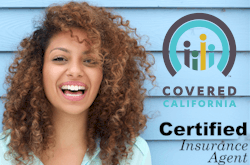 That's our job as Certified Covered California agents and there's absolutely no cost for our services.